Current evidence of acupuncture on polycystic ovarian syndrome. 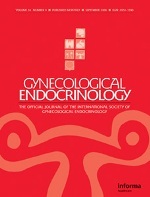 OBJECTIVE: This paper aims to provide a literature review on evaluating the efficacy of acupuncture therapy in the treatment of polycystic ovarian syndrome (PCOS) by reviewing clinical trials; randomised and non-randomised and observational studies on PCOS. The paper will also determine the possible mechanism of acupuncture treatment in PCOS, limitations of recruited studies and suggest further improvements in future studies. DESIGN: A comprehensive literature search was conducted through the databases Medline, PubMed, EMBASE, Cochrane, AMED (Allied and Complementary Medicine), NCCAM (The National Centre for Complementary and Alternative Medicine) to identify relevant monographs. RESULTS: Four studies were recruited. Several studies showed that acupuncture significantly increases beta-endorphin levels for periods up to 24 h and may have regulatory effect on FSH, LH and androgen. beta-endorphin increased levels secondary to acupuncture affects the hyperthalamic-pituitary-adrenal (HPA) axis through promoting the release of ACTH through stimulation of its precursor pro-opiomelanocortin synthesis. INCLUSION CRITERIA: All available acupuncture studies on human subjects with PCOS from June 1970 to June 2009. EXCLUSION CRITERIA: Studies not meeting the inclusion criteria, published in languages other than English or animal studies. CONCLUSION: Acupuncture is a safe and effective treatment to PCOS as the adverse effects of pharmacologic interventions are not expected by women with PCOS. Acupuncture therapy may have a role in PCOS by: increasing of blood flow to the ovaries, reducing of ovarian volume and the number of ovarian cysts, controlling hyperglycaemia through increasing insulin sensitivity and decreasing blood glucose and insulin levels, reducing cortisol levels and assisting in weight loss and anorexia. However, well-designed, randomised controlled trials are needed to elucidate the true effect of acupuncture on PCOS.